15% off any area of Ultherapy. Complimentary touch-up lines after 90 days are included. 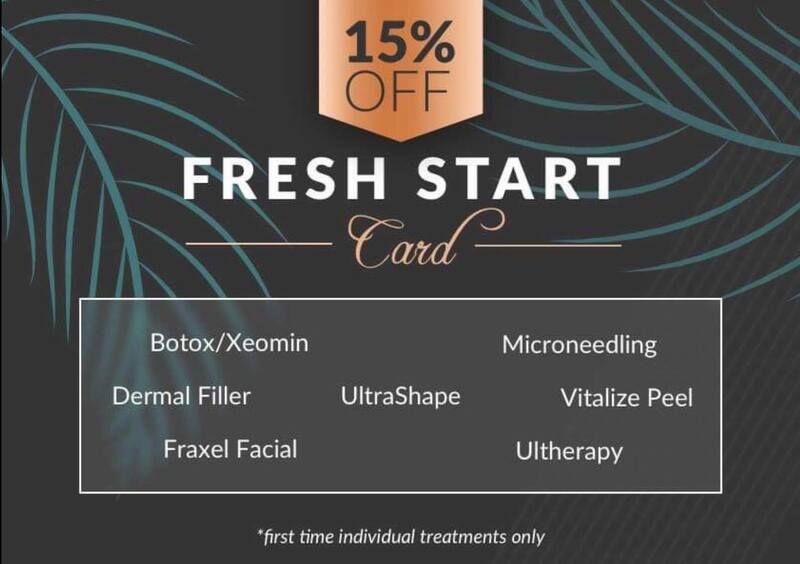 15% off UltraShape. UltraShape is non-invasive body contouring. This treatments destroys fat cells, improving areas like the abdomen, “love handles”, thighs and fat around the knees. 15% off a unit of Botox or Xeomin the week of May 6th only. Additional saving can be obtain using the new Fresh Start Card.